Welcome to our website devoted to Johannes of Oppido = Obadiah the Proselyte = עבדיה הגר, a Catholic monk who converted to Judaism in the year 1102 C.E. Everything that we know about this remarkable person derives from documents found in the Cairo Geniza. 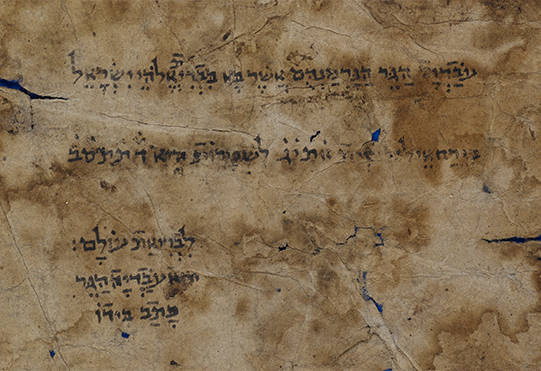 The various manuscripts are housed today in five locations (Budapest, Cambridge, Oxford, New York, Cincinnati). Through the wonder of the internet, they are all digitally reunited here. We invite you to read the Introduction for the fuller story, and then to peruse the manuscripts, admire the penmanship, read the translations and the transcriptions, click on other links, and simply marvel at the recovery of a piece of history.